A Bedrock Helmet is an unbreakable armor piece from the RotaryCraft mod. When crafted the Bedrock Helmet will already have the enchantments Respiration III and Projectile Protection IV. Extra enchantments may be applied with an Anvil. 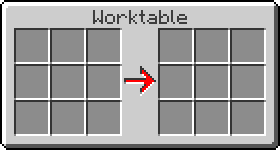 When placed into a Worktable with a pair of Night-Vision Goggles, the Bedrock Helmet gets a new look and gives the player the Night Vision effect for as long as it is worn. If Thaumcraft 4 is installed then the Bedrock Helmet may be upgraded into a Bedrock Helmet of Revealing. The Visor prevents aggro from looking at Endermen. This page was last modified on 2 May 2017, at 05:00.